The Li River cruise ends at Yangshuo and this is how most people come - by boat cruise. It's a great laid-back town set amid gorgeous limestone pinnacles. 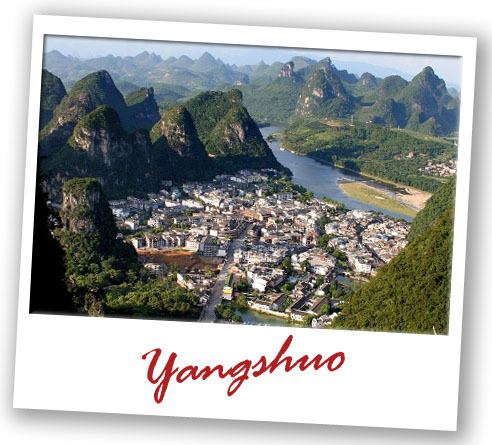 Yangshuo is perfect for exploring the sheer scenic beauty of the countryside and surrounding villages on a leisurely bike ride. The famous West street in Yangshuo is lined with cafes, bars and restaurants offering interesting Chinese/Western crossovers as well as western favorites such as pizzas, steaks or banana pancakes.